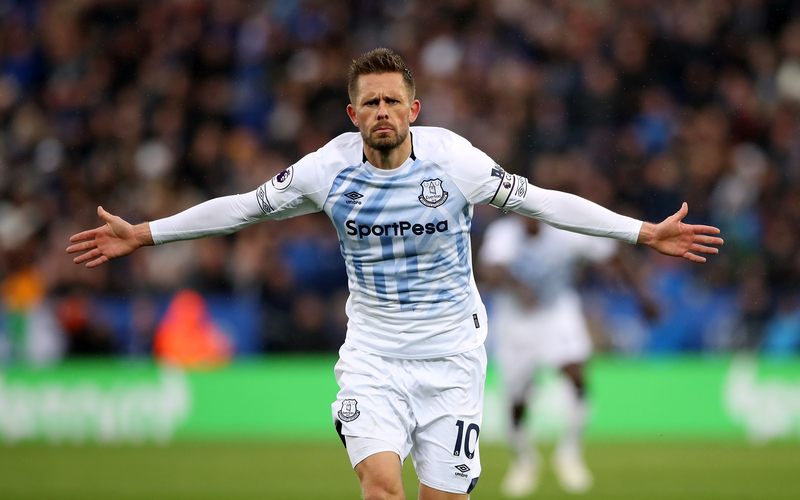 Everton's Gylfi Sigurdsson celebrates scoring his side's second goal of the game during the Premier League match at the King Power Stadium, Leicester. I’ve already assessed in detail how Marco Silva is on the brink of something special here at Everton. His attacking and positive attitude to football has had a massive affect on the Everton squad this season and in test of that change it can only be right, that I use this to lay it bear the extent of his impact using two players, Michael Keane and Gylfi Sigurdsson. Coaching in football, is page one, chapter one, in the guide to creating a successful football team. Even in it’s most basic form as to Sunday league and amateur football, no football side can operate successfully without a proper ‘plan’ on how to go about winning a game of football. Thusly it is imperative at the level Everton Football Club is competing at, that the ‘plan’ or the footballing philosophy primarily has an distinct identity that has an end goal of being incredibly skilled in carrying out that idea but also that the plan suits the player’s a coach has to create a winning formula to be competitive over a long period of time. What I may have just said may sound incredibly basic, but this idea and way about playing football was non-existent last season at Everton. Players often went about there business with managers who just laid there tactics out as ‘if you can’t mark them, foul them’ whilst lining up five defenders to scramble together a lucky 1-0 by hook or by crook. 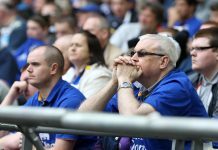 Whilst in the background we had managers who had a scattergun approach to recruitment, signing anyone who took his eye, aided by a glorified scout who couldn’t recognise for the life of him why selling your main striker and not replacing him may be an existential threat, declaring that Everton ‘would have finished seventh anyway.’ Because that was the Damned United’s measurement of success at Everton, to limp the way to seventh place to begin our season each year at the end of July against some Slovakian farmers and repeat. The days of chance, luck and fate have gone. 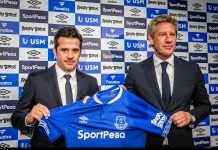 Marco Silva and Marcel Brands are running Everton now and the methodology, ostensibly, could not be anymore different. A clear strategy was had in the transfer market. Brands went out and bought players simply not on name and market value alone but instead to support the system Marco Silva was to employ. Additions such as Richarlison, Lucas Digne and Bernard were clearly thought out and you can certainly see where the new duo could see them playing in the system. However, instead of the new additions, it is Marco Silva and Marcel Brands’ affect on the original crop that can be found most impressive. Let’s start with Michael Keane. Last season Keane was criticised heavily by a large proportion of the fanbase with many calling for his head in Silva’s summer of long knives. Silva, rightly, kept faith in Keane despite questionable pre season displays. Keane has been a different player this season. So much so, his displays have earned him a recall to the England squad. With a lack of Ashley Williams next to him and a more dynamic coach, Michael Keane has been emblematic of Everton’s upturn in form this season as we are for the first time seeing the leader of men, £30 million defender from Burnley. Placing him next to either Kurt Zouma or Yerry Mina is certainly aiding his cause also. Their dynamism in defence has helped an albeit limited Michael Keane who struggles in terms of pace against quick strikers. Silva and Brands have highlighted this as his main weakness and patched it up by not only actually coaching him effectively to be positionally better but compensate what Keane lacks in other central defenders. I could have mentioned a lot more. Dominic Calvert-Lewin and Tom Davies have been much improved also as too Idrissa Gueye. 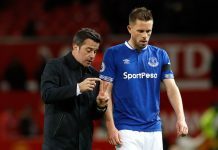 Marco Silva is only at the beginning of his Everton journey, there’s a lot more to come, but what Everton have lacked in previous seasons is now here. Everton no longer have a have a go coach but instead have a real one.